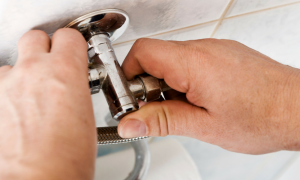 The New Year is a great time to begin thinking about home improvement projects. Here are a few tasks to kick off in 2017. Your garage door is one of the first things visitors and potential buyers will notice about your home. That’s why it’s important to ensure that yours is in great shape. 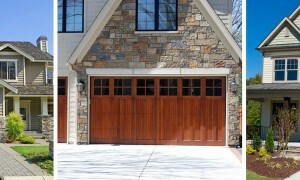 Consider installing a new garage door if yours is damaged or showing its age. Insulated garage doors will boost the energy savings of your home. Your garage is an open pocket of air attached to your home. As it gets colder outside, an uninsulated garage will trap cold air against your home, forcing you to spend more on energy bills. 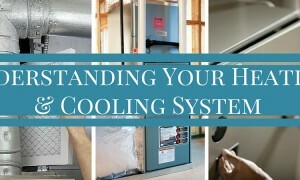 Insulated models will keep cold air out and help you eliminate extra spending on utilities. Smart locks allow you to control and monitor the security of your home through your smart phone. The price of smart locks will vary depending on the features. Most models come with Bluetooth connectivity and remote access. Learning thermostats will improve the environment in your home and save you money. Smart thermostats learn your heating and cooling habits and automatically adjust your HVAC to meet your needs. You can install a smart thermostat yourself or with the help of a pro. Your kitchen is a busy place. Everyone loves to gather around food and enjoy good conversation while keeping the host or hostess company. If you’re dealing with a cramped kitchen, consider a minor kitchen remodel to help open up your space. Worried about the cost of a remodel? A kitchen remodel will return 83 percent of its cost at the time of resale, making it one of the better ways to spend your money in 2017.